Viet Nam’s foreign direct investment (FDI) attraction is expected to make a leap, especially in quality, in 2019 as more foreign investors, including big names, in the world’s high-tech manufacturing and services industries are choosing the country as their destination. Data from the Foreign Investment Agency under the Ministry of Planning and Investment showed foreign investors registered to pour US$8.47 billion into Viet Nam in the first two months of this year, 2.5 times higher than the same period of last year. Disbursement of FDI projects also rose by 9.8 per cent year-on-year to $2.58 billion, hitting a three-year record high. Notably, foreign investment in science and technology surged sharply, helping it for the first time rank third in the hottest sectors in the country’s FDI attraction. The positive move is continuing this month with many provinces and cities consecutively announcing licences for high-quality projects. 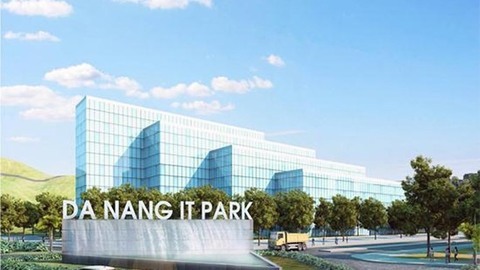 In the early days of March, the central city of Da Nang said it licensed two projects of American giants – leading global manufacturer of aircraft components American Universal Alloy Corporation and electronics manufacturer Alton International Enterprises – to set up their production bases at its hi-tech parks while some others also from the US, such as Key Tronic EMS, are also proposing projects in the park. In the northern province of Bac Giang, Lenovo Group from China also expressed a desire to develop a computer component factory during a recent meeting with local authorities. The group said it would need 20-30ha of land for the factory’s development and its products would be exported to the US, the provincial portal reports. Ha Noi City meanwhile also expected to receive Ikea as the Swedish furniture giant plans to invest US$450 million in a retail centre and warehouse system in the capital, Nguyen Duc Chung, chairman of the Ha Noi People’s Committee, told a recent conference held by the Ministry of Industry and Trade. While Ikea’s local subsidiary is well advanced with plans to launch the Vietnamese centre, which will be Ikea’s main supply hub for its Southeast Asian market once completed, there are also forecasts that Apple could move its facility to the Southeast Asian country in the future. Nguyen Van Toan, vice chairman of the Vietnam Association of Foreign Invested Enterprises, told Viet Nam News that the rising high quality investment in Viet Nam was a positive signal, especially when the inflow remained unnoticeable compared to the total FDI in Viet Nam and the overseas investment capital of these investors in the world and ASEAN countries over the past years. “The US, for example, invested some US$300 billion in foreign markets every year while the investment in Viet Nam was less than $1 billion,” Toan said. Echoing Toan, Vo Tri Thanh, a senior economist at the Central Institute for Economic Management (CIEM), told Viet Nam News that a rise of high-tech FDI projects licensed in the first months of the year partly showed Viet Nam as an attractive investment destination, buoyed by its free trade agreements, close proximity to major global supply chains, high economic growth potential and the Government’s success in improving the investment environment. According to experts, the inflows of high-quality investors, especially big names, will help Viet Nam solidify its position as a global manufacturing powerhouse besides appealing to many other big components suppliers to the country. As in the case of the American Universal Alloy Corporation, for example, its Chief Operating Officer for Universal Alloy Corporation and President of Universal Alloy Corporation Europe Kevin Loebbaka, revealed at the group’s project launching ceremony in Da Nang recently that both Boeing and Airbus were promoting manufacturing operations in Asia and they had a great interest in the future production site of UAC in Da Nang. According to Toan, the Government is taking measures to lure high-tech investment after three decades of FDI attraction, however, several hindrances still should be removed to optimise the fresh investment inflow. “The Government should continue to improve business and investment transparency and safeguard intellectual property rights because investors from developed countries, including the US, often demand a transparent and consistent investment and legal environment,” Toan said. “It is also necessary to put investment protection regulations in the laws since multinationals with high-tech projects are very interested in this. They must be assured that their legitimate rights will be protected,” he suggested. Besides, Toan also urged the Government to focus on training to make the country more attractive to foreign high-tech investors as skills of the country’s workforce remain limited.